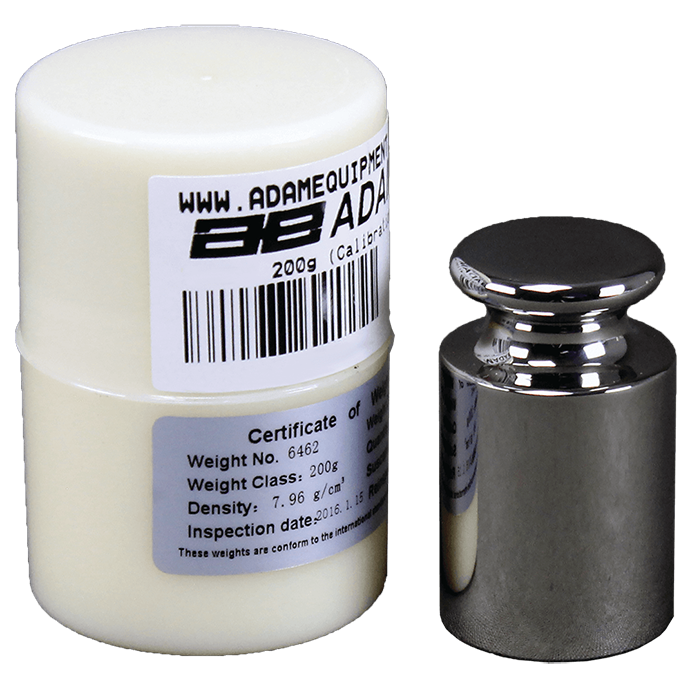 Adam Equipment offers a selection of OIML-certified calibration weights. Adam's OIML weights are available in sets or separately. Individual weights are packaged in a plastic box, while weight sets are placed in a lined aluminum box, complete with forceps and white cotton glove. Adam's OIML weight sets are fabricated of stainless steel and are available in several classes. E2 weights offer superb accuracy for calibrating analytical and precision balances. F1 weights are suitable for calibrating precision balances. M1 weights are excellent for calibrating compact balances. Adam's cast iron weights are manufactured to OIML standards. Offered in OIML M1 class, these weights are available in high capacities and are excellent for calibrating larger weighing scales. Adam Equipment's ASTM standard calibration weight sets for accurate scale and balance calibration.